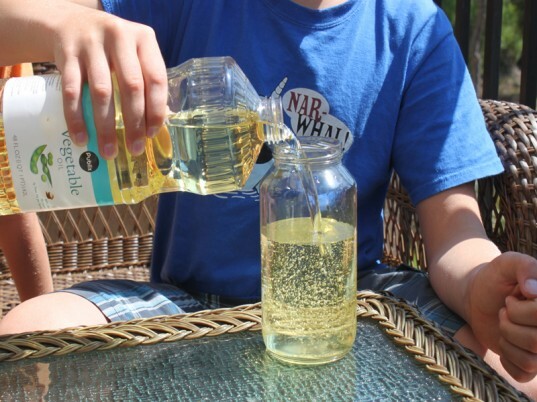 Have your child fill an empty container 3/4 full of cooking oil. 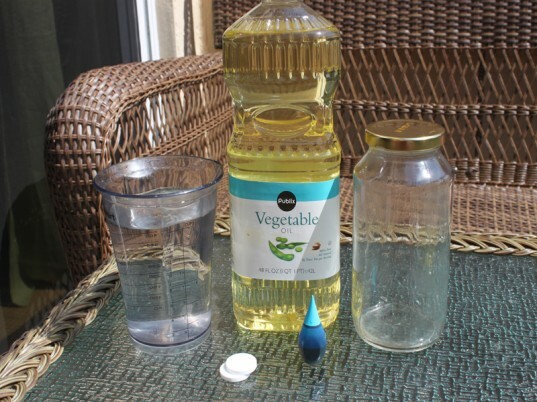 Then, fill the rest of the bottle with water, leaving about an inch of bottle empty. 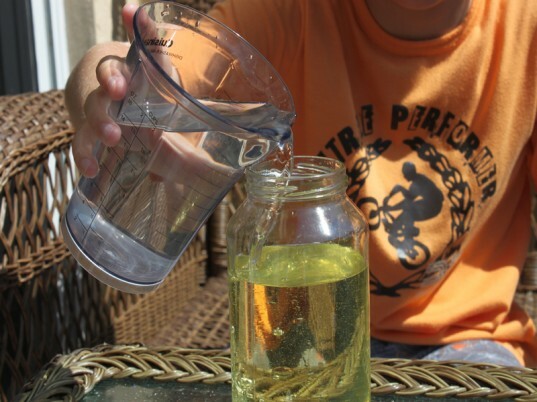 Let your child drop 10 droplets of food coloring into the bottle. 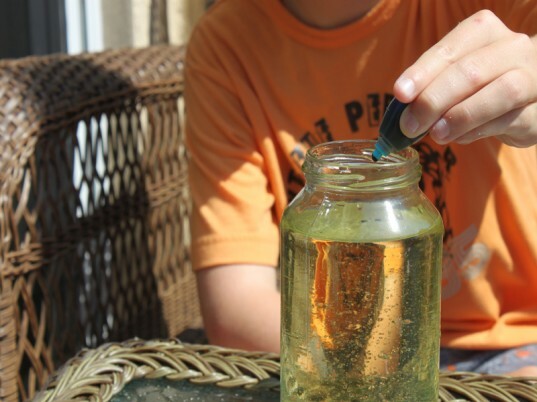 Break an Alka-Seltzer into about 8 small pieces and drop them into the bottle. 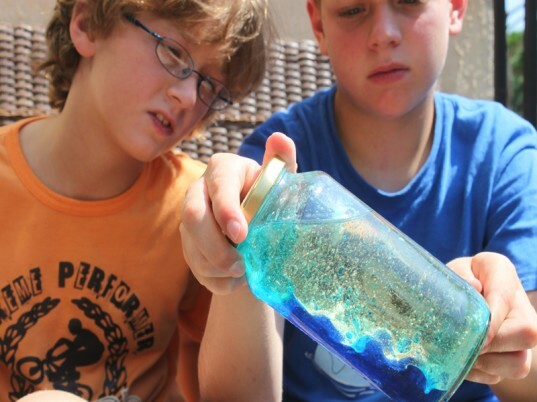 When the Alka-Seltzer hits the water it will start to fizz causing the colors to erupt! 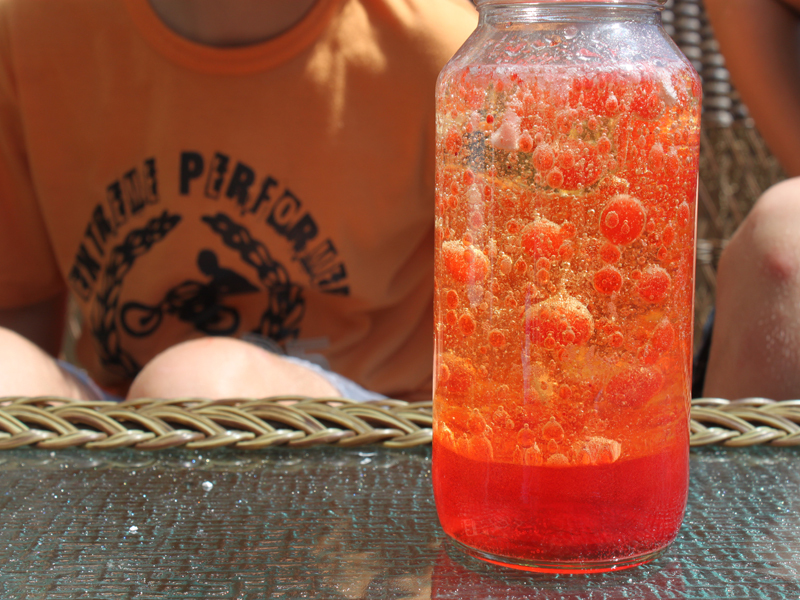 After your child has added all of the Alka-Seltzer to the lava lamp, screw the lid on and turn the bottle upside down and watch a lava blob appear. 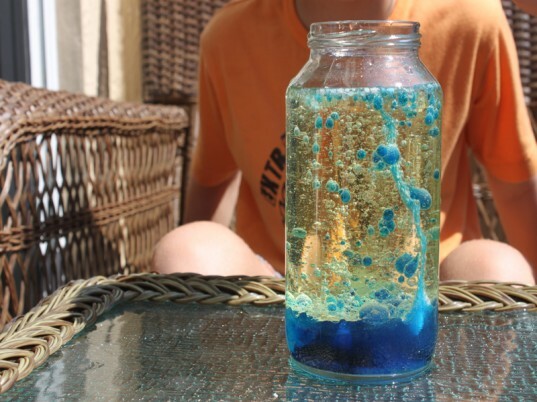 Oil and water do not mix, the food coloring will only mix with the water and the Alka-Seltzer tablets react with the water causing tiny bubbles. The bubbles attach to the little blobs of color causing them to float. Then, when the bubble pops, the blob sinks back to the bottom. how long with the alka-seltzer last? 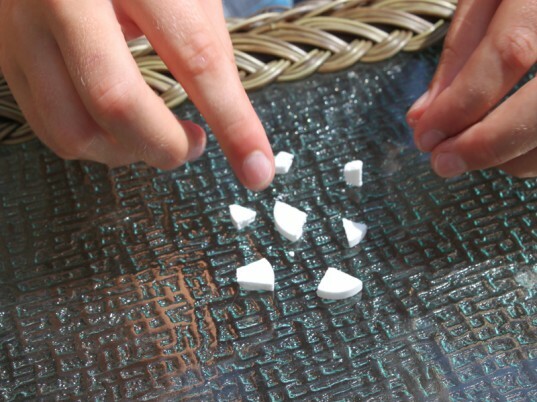 It only lasts a couple of minutes - that is why you break it into small pieces, so you can add more. CAn you add salt instead?